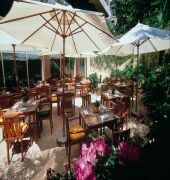 This property offers 460 beautifully decorated guestrooms that are elegantly furnished with an array of contemporary amenities to satisfy the needs of discerning travelers.The on-site Restaurant Pacific Eiffel serves international cuisine as well as harmonious dishes for you to feast on. Sip an exotic array of original cocktails and classic favorites, while you relax at the cozy bar.The hotel offers 15 well-appointed conference and banqueting rooms that can accommodate up to 700 people for organizing your important events. 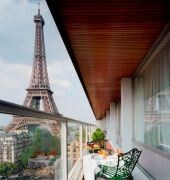 The HILTON PARIS is a Tourist hotel. 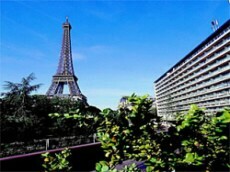 Located in City Centre - Eiffel Tower area. Shopping is accessible by bus/taxi and the nightlife/restaurants are easily accessible by taxi or bus from the hotel. Descriptionclass="small" style="text-align: justify; font-size:11px;">This property offers 460 beautifully decorated guestrooms that are elegantly furnished with an array of contemporary amenities to satisfy the needs of discerning travelers.The on-site Restaurant Pacific Eiffel serves international cuisine as well as harmonious dishes for you to feast on. 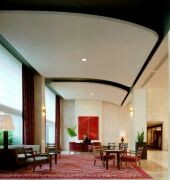 Sip an exotic array of original cocktails and classic favorites, while you relax at the cozy bar.The hotel offers 15 well-appointed conference and banqueting rooms that can accommodate up to 700 people for organizing your important events.